How can people qualify to work at medical marijuana establishments in Nevada? 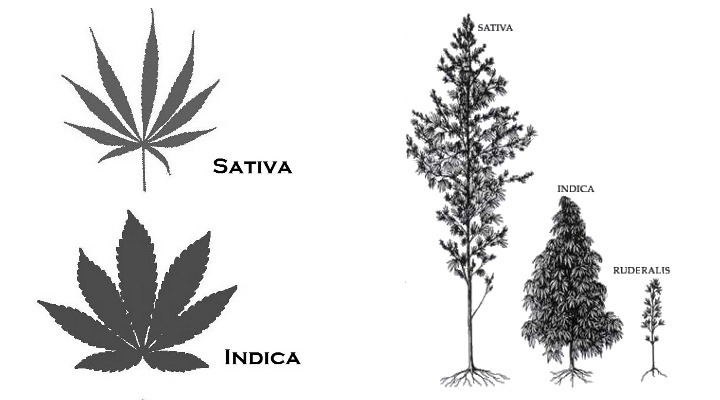 Indica and sativa are the two main types of cannabis. Here’s how to tell them apart. Cannabis is one of the oldest crops known to mankind, with records of its cultivation dating back thousands of years. Today, it is widely accepted that marijuana has two different species: Cannabis indica and Cannabis sativa. Cross-breeding of the two types has led to a wide variety of hybrid strains with unique characteristics. The differences between indica and sativa remain a subject of much debate, especially among scientists who study the plant. However, most agree that indica and sativa plants are distinct in a number of ways. The most accepted way of distinguishing indica versus sativa is by appearance, or what scientists refer to as morphology. Sativa plants are tall, loosely branched and have long, narrow leaves. They are usually grown outdoors and can reach heights of up to 20 feet. Indica plants are short, densely branched and have wider leaves. They are better suited for growing indoors. However, no scientific study has confirmed these differences, and there is some doubt about their accuracy. In fact, history suggests a much simpler difference between indica and sativa. The original classification of Cannabis indica was made by French biologist Jean-Baptiste Lamarck in 1785. Lamarck observed that certain marijuana plants from India were intoxicating and could be made into hashish. But traditional hemp crops, which were more common in Europe, had no mind-altering effect. He came up with the name Cannabis indica to distinguish Indian cannabis from European hemp, which was known at the time as Cannabis sativa. Likewise, Cannabis indica was specifically recognized as a therapeutic in Western medicine during the 1800s. Scientists that have studied the differences between indica and sativa have come up with a number of theories based on genetics. One prevailing theory focuses on the genetic production of THC and CBD. Plants that produce high levels of THC express genes that code for the enzyme THCA synthase. 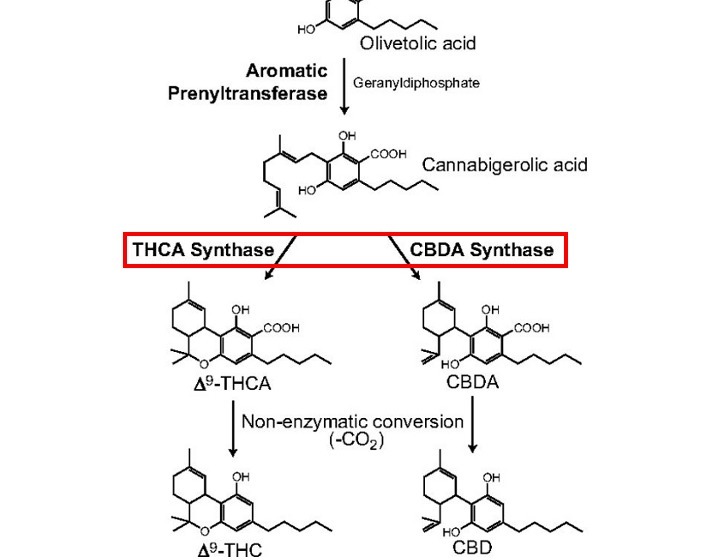 This enzyme converts CBG into THCA, which becomes THC when heated. These plants are typically considered indica. On the other hand, some plants express genes that code for the enzyme CBDA synthase. This enzyme converts CBG into CBDA, the precursor of CBD, instead. These plants are typically considered sativa. Based on this explanation, indica plants have high THC:CBD ratios and sativa plants havehigh CBD:THC ratios. The problem is that, today, many strains produce varying amounts of both enzymes. Someresearchers believe this is due to hybridization of the gene pools, which explains why some sativas are rich in THC and some indicas are not. An alternate theory based on geographic origin has also been proposed. A common Cannabis species is thought to have originated from central Asia before separating into distinct sativa and indica gene pools. 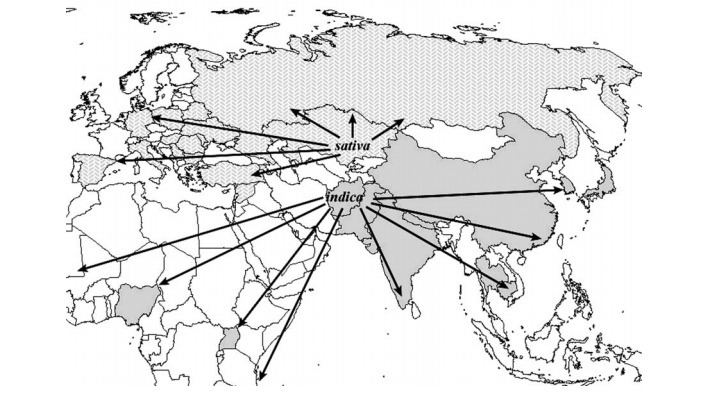 Recent attempts to distinguish sativa verses indica have relied on a combination of geographical and genetic theories. The existence of a few rare species, such as Cannabis ruderalis, has been suggested but much about them remains unknown. The difference between edibles and smoking. Marijuana math, how strong is my homemade edible? © 2016 TRIM READY™. All Rights Reserved.